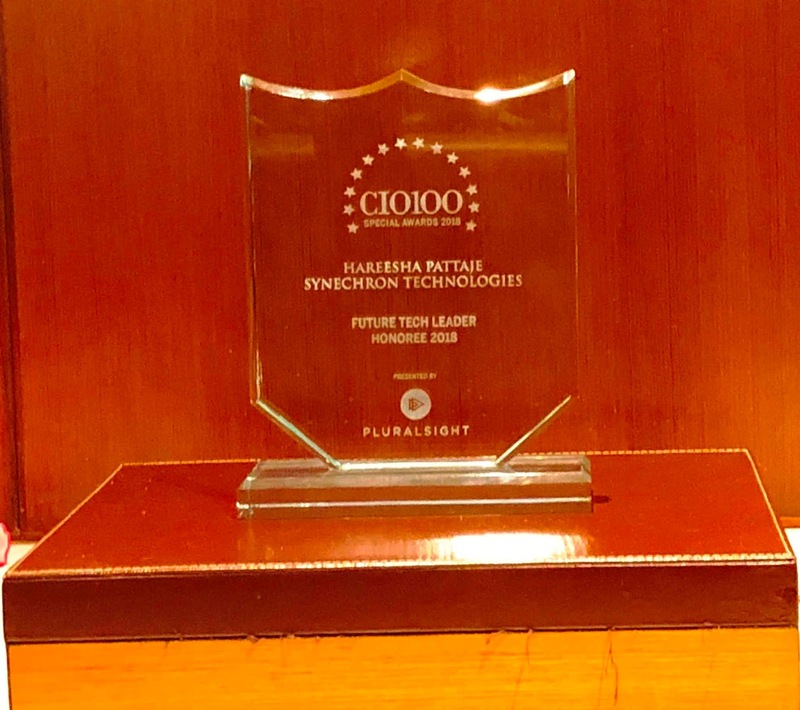 Synechron, a global financial services consulting and technology services provider, today announced that Hareesha Pattaje, Managing Director – Technology was awarded the coveted CIO100 FutureTech Leader Award 2018. The award recognizes Hareesha’s extensive efforts in formulating and executing reskilling and up-skilling strategies at Synechron. His vision for identifying and deploying relevant future technology skills has been instrumental in creating a future-proof environment at the company. Hareesha also has played an important role in setting up the Synechron Blockchain CoE. The CIO100 Awards honors 100 outstanding organizations and their CIOs for exemplary use of technology while the symposium encourages the exchange of ideas and inspires future transformation through the proactive adoption of technology solutions. It is the most powerful congregation of IT leaders in India with entry exclusive to winners. Adjudicated by an eminent jury comprising of the who’s who of the IT industry, the parameters to judge the FutureTech Leader Award 2018 included strategies that business leaders have formulated and rolled-out to create a balance between the future technology requirements and the current ones in smart and relevant ways.